He criticizes the family's promotion of the upcoming hologram tour. Blake Fielder-Civil, the man who was married to Amy Winehouse for two years, is upset by the way her family is attempting to uphold her musical legacy with a hologram tour. He appeared on Good Morning Britain to voice his opposition to what he deems as exploitation. "The idea that it's anything like Amy is kind of misleading. It's old footage. It can't be anything new. It's not going to have the same interactions as Amy had. It's not going to be the same." He continued to state his concern for the lack of a "human element" entailed by the hologram. "The actual hologram, to me, it's no different than watching a video clip, maybe, or listening to her album. 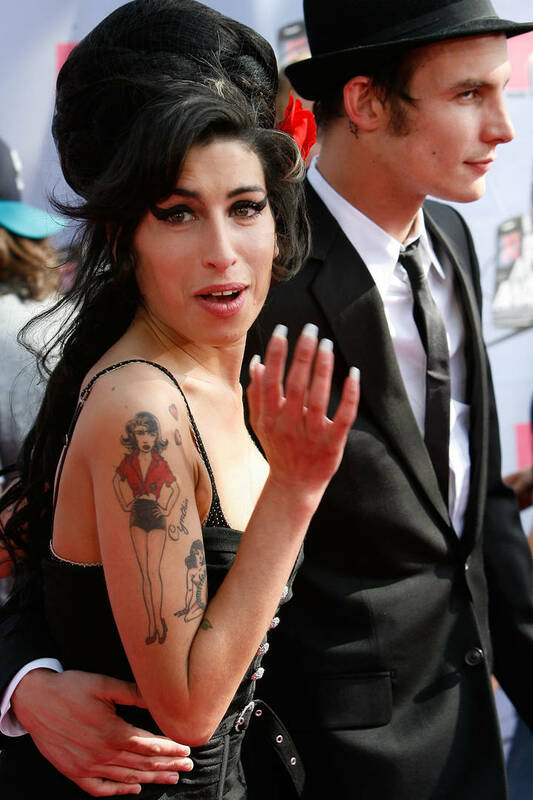 If anyone wants to see Amy onstage, that opportunity has been gone." Blake then addressed the multitude of films that have been produced or planned since Amy's passing. He doesn't see any real need for more exploitation of Amy's image considering this mass of content. When confronted with the idea that his objection might seem hypocritical considering the fact that he had previously "cashed in" on Amy's character in the past, Blake responds, "I would have done it without any money." He also acknowledges how he has "taking responsibility" in the events surrounding Winehouse's passing. Blake also revealed that drugs played a part in their relationship for "maybe 6 months."